I am working on a Wire Weaving Bag project and will publish soon. 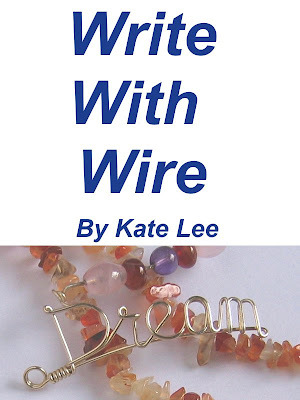 Again, I will make it a bonus for who buy the ebook "Write With Wire" in this July and August to thank people who support me. Just leave a comment here to inform me and I will send the "wire weaving bag project" in September together. It's a project about using one piece of long wire to create a wire weaving bag. I will upload the photo recently. I kept to think about retaking photos, and that's why I did not upload the photo for some time.